As you may know by reading news like this and this and this, Hiraizumi and Ogasawara were listed as World Heritage sites in June this year. 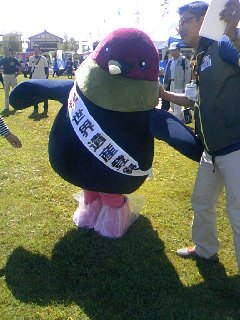 From Ogasawara a Wood Pigeon came to Hiraizumi today to support quake and tsunami victims. 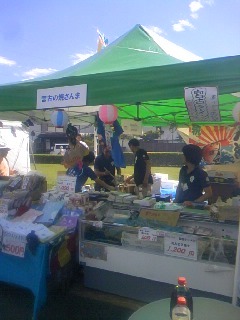 A support event named "Fukkosai" held in the former garden of Kanjizaio-in temple. "Fukkosai" is normally written "復興祭" in Japanese. 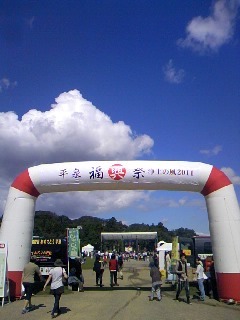 But for this event it is written "福興祭". "復" means "recover". "福" means "good luck". 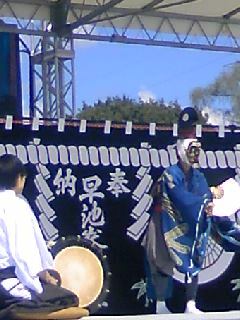 Hayachine Kagura was performed on the stage. 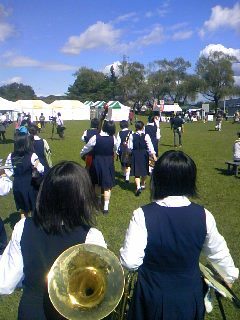 High school students from Ofunato came to perform a brass band music. 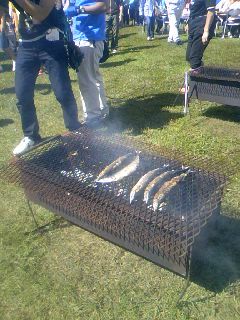 Miyako people took Sanma they caught to the event and broiled them. Buying their products is the best support for them. Because this helps their income, job and industry recovery and creation. This leads to really quick and true reconstruction. It was cold in the morning. 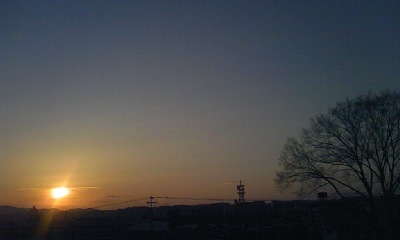 The sun rose around 5:57 in the east. 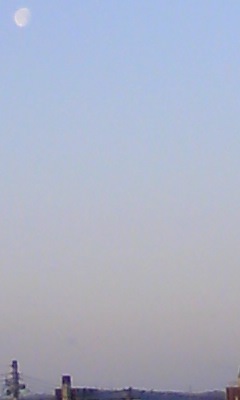 At the same time I saw the moon in the west. My school's glass was not fixed yet. Today the sun rises directly in the east and sets directly in the west. We call this day "Shuubun no hi", Fall Equinox Day, a Japan's national holiday. We also call this day "Higan no chuunichi" because this day is in the middle of higan, a week-long Buddhist ceremony. Higan means the next world for Buddhists. As we believe the spirits of ancestors return to this world during higan, we visit our family graves, clean them, offer flowers and burn incense to show respect to ancestors and commemorate the deceased. 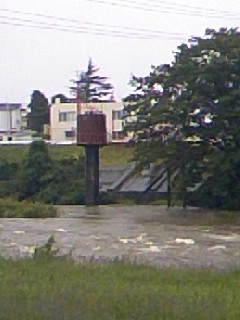 You can see (with PC, with Mobile Phone) what happened today around me in Koromogawa, next to Hiraizumi, next to Ichinoseki, where I visited my family graves. You may not read my Japanese poetry with a 5-7-5 syllable but you can enjoy pictures I took today. 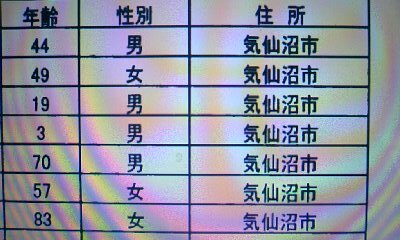 I saw a list of people in an evacuation center from Kesennuma, a coastal area of Miyagi pref., next to Ichinoseki, Iwate pref. I visited the evacuation center. 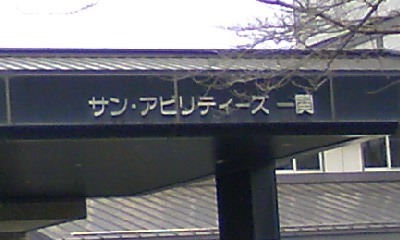 I met those people and other people from Rikuzentakata and other areas. What I did was just listening to them. 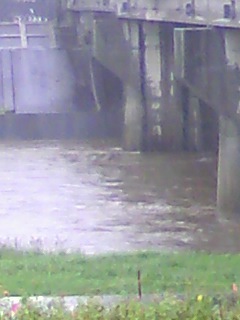 Typhoon is coming from the south up to the north, Tohoku, now. 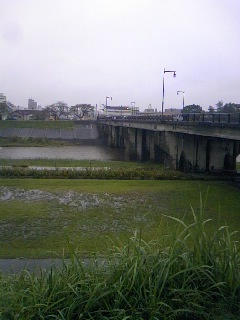 I have just come back from Iwaigawa River running through Ichinoseki. 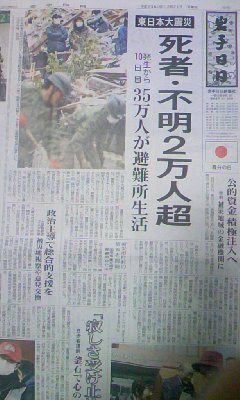 On March 21st Iwate Nichinichi shimbun, local newspaper in Ichinoseki, reported on its top page that more than 2,000,000 people might be left dead or missing by the quake and the tsunami, and about 350,000 people were staying in evacuation centers. On September 11th the paper reported that according to the police 19,867 people were left dead or missing up to September 10th. The paper also reported that still 6,800 people live in evacuation centers. Those numbers means a lot. On September 11th it had been 6 months. I feel it is long and at the same time I feel it is short. It was the longest 6 months for Japanese people. Time waits for no man. 6 months flies. I feel as if it were ten years ago. I feel as if it were yesterday. 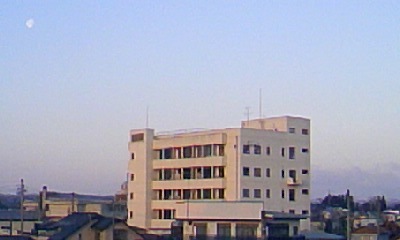 The March 11th quake and tsunami hit Tohoku Japan. 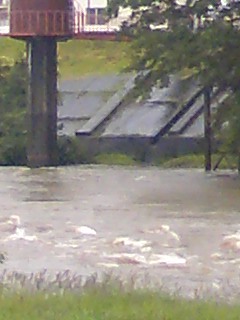 No electricity, no water supply, no telephone around my area in Ichinoseki, Iwate. 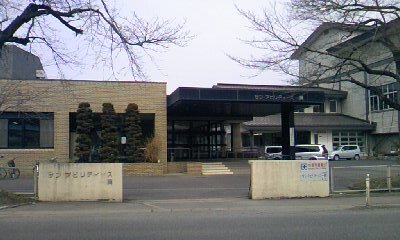 On March 13th I went to Ichinoseki city hall and made a line to charge my cell phone with the emergency generator. Then I sent an email up to my blog. This was the only way for me to tell my friends "I and my family are OK" then. In March Ichinoseki received people from the coastal areas such as Rikuzentakata (Iwate), Ofunato (Iwate), Kesennuma (Miyagi) and Minamisoma (Fukushima). 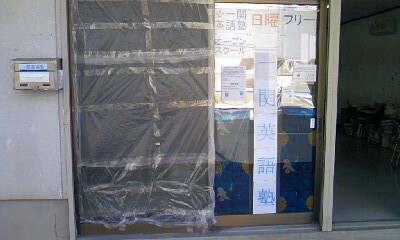 I visited evacuation centers in Ichinoseki and set up an evacuation center in my school. In April I had a chance to visit the coastal areas with an epa photographer. We visited Rikuzentakata, Ofunato, Kamaishi, Otsuchi, Yamada and Miyako in Iwate. We met the biggest aftershock when we were in Taro, Miyako, on April 7th. Thanks to supports and donations from my Ichinoseki neighbors, my family, my friends in Tokyo, my friends in the World OpenOffice.org community, Team OpenOffice.org e.v., OpenOffice.org Authors, OpenOffice.org ES, we could visit the devastated areas, listening to people there, and supporting students and children in evacuation centers in the devastated areas. In June we presented dictionaries to junior high school students in cooperation with Iwate university teachers and students. These months Japanese people have been facing the radiological threat, experiencing extraordinary hot summer, feeling quakes almost everyday, and meeting typhoons and heavy rain. Reconstruction is slow. The government is slow. But once people get a job to do, reconstruction moves forward powerfully. My project, Magokoro project, will now start helping create jobs. On June 28th, 2011, Japan Open Source Software Promotion Forum announced in their Japanese press release that they provide free OpenOffice.org CDs to support people and their reconstruction efforts in the areas devastated by the quake and the tsunami. They launched the special site called "phoenix" and explained what they provide. Volunteers from the oss forum provide email support service (ooo-supporter at ossforum.info). Also if a user tweets using hashtag #ossforum, he/she will be supported by the volunteers. They provide 3 types of OpenOffice.org CD. I have got the OpenOffice.org CDs. Here you go. About reconstruction and opensource software demand and OpenOffice.org CD demand, I am talking with people who I have visited in the devastated areas such as Miyako, Yamada, Otsuchi, Kamaishi, Ofunato, Rikuzentakata, Kesennuma and others. We are planning to distribute those CDs to those who want to use them. We are further planning to create an original opensource Office software CD or DVD in each devastated area and sell them to people in many parts of Japan and the world. In the near future we would like to develop User training program, Supporter program, Consultant program and so on. Then devastated area's local governments will be happy to adopt Opensource Office software. SMB in the local areas will also adopt them. Opensource business can be a local industry which can employ many people. You see what the people in the devastated areas really need now! For quick and real reconstruction we would like to contribute to Job Creation.